Welcome to the official home of Natural Athlete Strength Association! 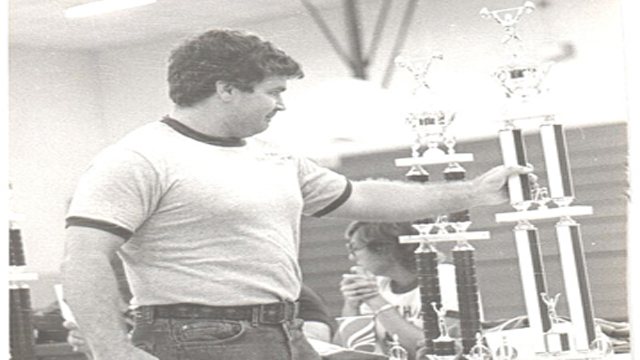 In 1978, a local Noble, Oklahoma powerlifting meet was run and had a meet director by the name of Richard Peters. 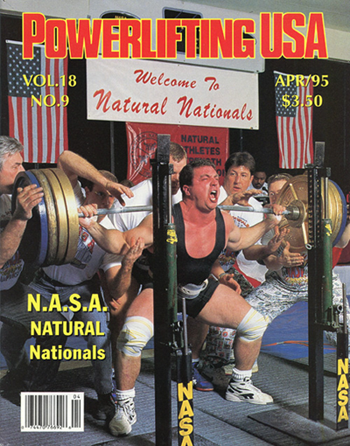 Little did anyone know that this event would begin a chain reaction of other events that led to what is now known as NASA Powerlifting. NASA Powerlifting was established officially on February 22nd, 1990 in a meet that lasted until February 25th in Reno, Nevada. This meet would be the first time that Rich Peters would officially break off onto his own and begin his own legacy with Natural Athlete Strength Association as a meet director in the world of powerlifting. 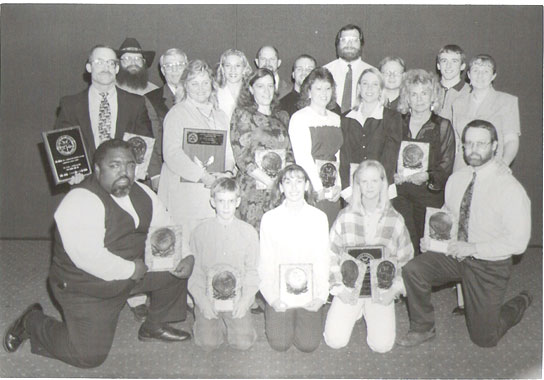 This meet was called the Natural Nationals; a meet that would become one of pinnacle powerlifting competitions as it continued annually in the United States even after twenty years later. NASA was founded and originated on the principle of maintaining the rules and stability of organized powerlifting under a true drug free environment. Today, NASA provides a place and a setting for lifters of all ages and generations to enjoy competitive lifting. NASA has seen its fair share of World Champion caliber competitors enter the fray and perform on the platform over the years and has seen amazing feats of strength by all ages and genders. 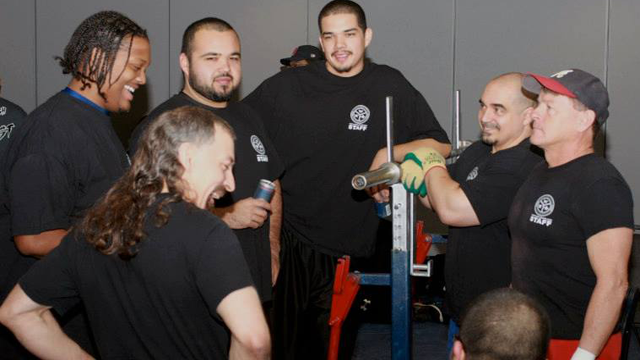 Not only is NASA Powerlifting a place to challenge yourself and against others in the spirit of competition, but it is also a place that can be used in a family environment and atmosphere. I can say this assuredly, as my entire lifehood can vouche around the notion that NASA is truly a family oriented organization; where you’ll often see husbands, fathers, wives, mothers and children all compete together. This also goes true for the annual awards banquet, which presents NASA’s most credible lifters from across the United States achivements and accomplishments for their goals across the year at.. where else? The Natural Nationals; the meet that started it all! NASA puts on (and travels to) powerlifting meets in over twenty states and has been since the very beginning. State, Regional, Open and Grand meets are there for the inexperienced lifter who is just now getting their feet wet in the whole notion of the sport of powerlifting so that they can better themselves and find out what everything’s all about. The main line of NASA national championships like the Natural Nationals, World Cup, Masters/Sub-Masters Nationals and the Highschool Nationals have long lineages chock full of history and amazing moments and feats that have taken place through the years. This organization is a gathering place of young and seasoned; where lifters aren’t afraid to help each other put their straps up on their lifting suits in the warm up area and wouldn’t think twice about chalking another lifter’s back. If there’s one thing that I know is mentioned about NASA meets, it would have to be the friendly environment. There’s nothing quite like NASA comradery in the sport! And through all of the great lifts, monster totals, spotting/loading dramatics, iconic lifters and the sound of a crowd getting behind a lifter who “needs this lift,” there’s still one amazing thing I haven’t mentioned…. Those weights? Yeah, they’ve never changed. The next time you enter a competition, think about how many competitors have stepped foot on that platform and competed before you using those same plates and that might just help you get that personal best you’ve been prepping for. 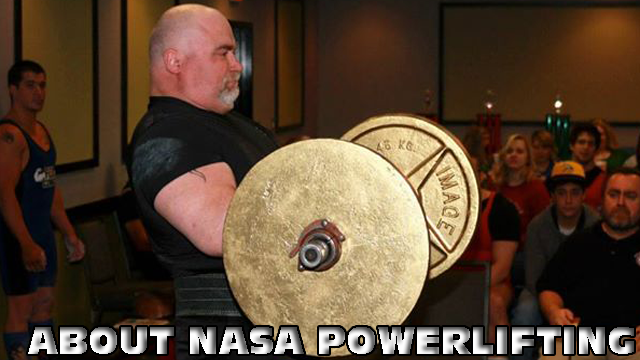 Welcome to NASA Powerlifting! We’re just doing what was started in 1990: Lift and have fun on an even playing field.. the old school way!